For these pavilions, Atelier Ten developed an innovative thermal labyrinth which takes advantage of Santa Fe’s naturally cool climate. The result is fully daylit spaces that are entirely comfort conditioned using only this unique thermal storage system. 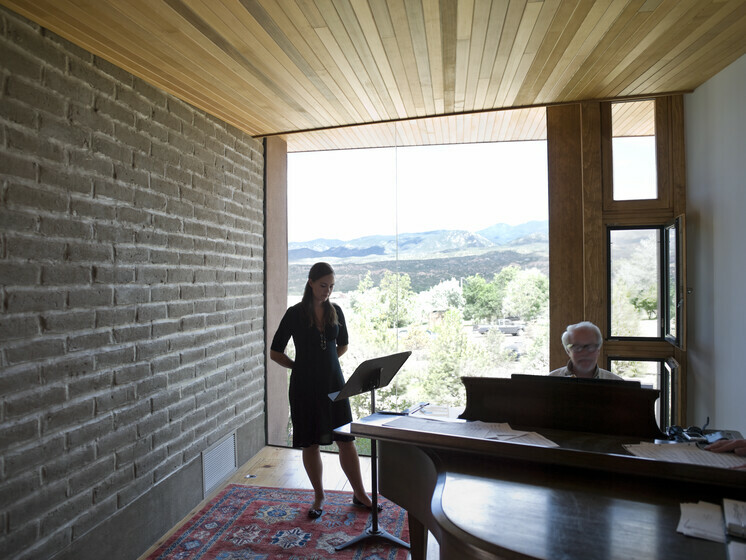 The six new vocal studios at the Santa Fe Opera Ranch serve as vocal warm up and coaching spaces. Their envelopes are fully enclosed to ensure adequate soundproofing due to close proximity to one another. Because the ranch is operational only during summer months, the design challenge was to sufficiently ventilate and cool these spaces with minimal energy expenditure. In response, Atelier Ten proposed and developed innovative thermal labyrinths under the floors of the studios which cool with thermal storage instead of mechanical refrigeration. Atelier Ten also advised on envelope and daylighting design for the pavilions. 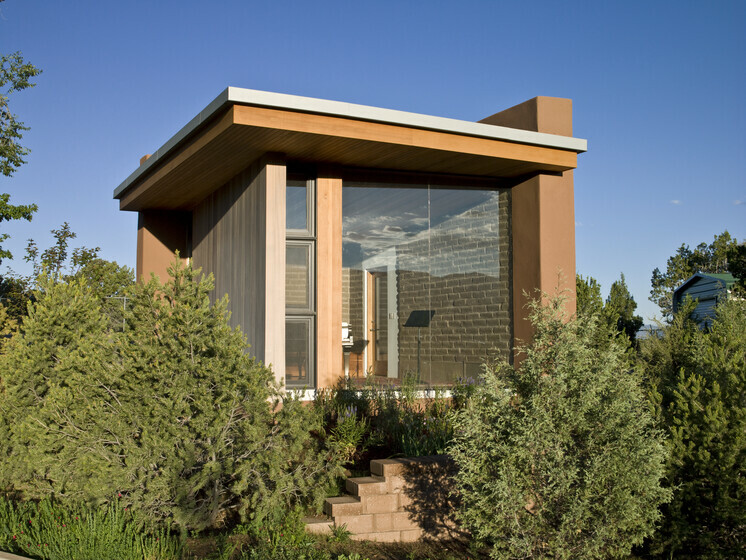 Particular attention was paid to analyzing and recommending the angles, locations and size of the skylights and windows to maximize available daylight while minimizing unnecessary solar gain and glare.